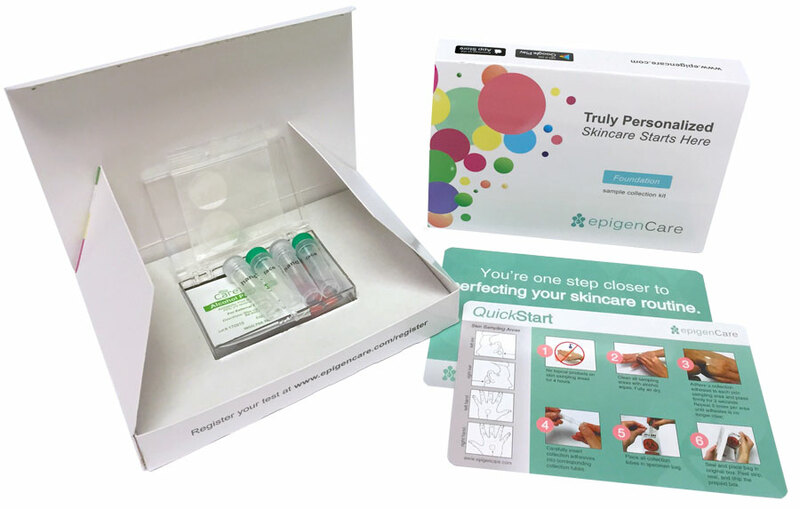 FARMINGDALE, N.Y., July 19, 2018 — EpigenCare Inc., a skincare matching platform based on an at-home test for epigenetic markers of the skin, announced today the filing of its patent application, “A method of creating an epigenetic skin profile associated with skin quality.” Specifically, the patent outlines a technique to develop a skin profile from biological samples through epigenetic markers that are associated with skin quality. The patent application involves a non-invasive sample collection method from the surface of the skin to be subsequently assessed for the epigenetic states through methylation-specific sequencing. A panel of epigenetic markers associated with skin quality and appearance is specifically measured for their DNA methylation levels to generate an individualized profile of the current quality of one’s skin. Epigenetics is the study of biological mechanisms that can turn genes on or off. These mechanisms can be influenced by the environment, including the ingredients contained in skincare products. Because skin quality is highly individualized and dynamic, a robust panel of epigenetic markers provides a powerful measuring tool for skincare regimen progress as well as for optimizing one’s skincare routine. The New York-based organization is the first company to use epigenetics to develop consumer skin quality profiles and use an ingredient-based A.I. system to match existing products on the market to the profiles. It recently won a digital beauty competition hosted by Johnson & Johnson Innovation and is currently in its fundraising stage. It is currently wrapping up a pre-seed Regulation CF offering to the public at https://www.startengine.com/epigencare before entering private investment rounds.